What’s Distinctive About The Elder-Corps? Early Bird Tickets End October 1st!!! 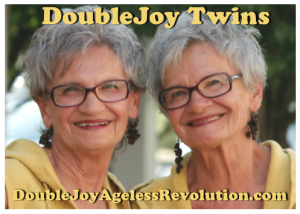 We are delighted to have you join us for this inspiring, informative, two day celebration of life Friday, October 9th and Saturday October 10th on the beautiful Mile Hi Church Campus, in Lakewood Colorado. Product/Services Exposition. 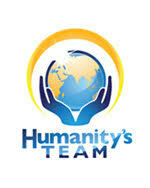 All designed to help you live a life of greater meaning, health and success. Add in the tasty, wholesome food and snacks that will be available, a terrific child-care service and a remarkable bookstore you have some idea of why we are so excited about this very special conference/exposition and festival. Thanks to the generosity of our authors and experts, our terrific sponsors and exhibitors, Mile Hi Church, the Mile Hi Church Foundation and the support of AgeNation, Ubiquity University/The Wisdom Graduate School and the Panacea Community we are able to present this remarkable two day conference, exposition and festival available at very affordable prices. For the remarkably low price of $75 per person you can participate in all of the talks and program, enjoy the Enlivened Living Products and Services Exposition, attend both Friday and Saturday night special evening celebrations, have preferred seating at all events and participate in a special VIP Reception prior to the Saturday Evenings Program. 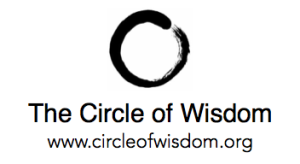 With the general admission weekend pass, you can participate in dozens of empowering lectures and activities, enjoy the Enlivened Living Products and Services Exposition, and learn empowering new strategies for aging wisely and consciously. *Does not include the Friday and Saturday evening special events. Those tickets sold separately, or available with the VIP pass purchase. BUY NOWSpecial Early Bird Friday Night Celebration just $25 per person. 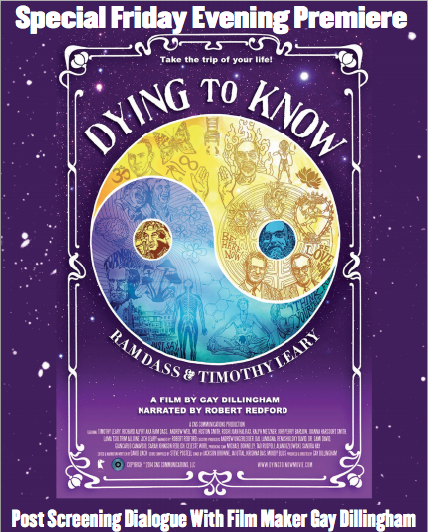 Friday evening includes special entertainment featuring Cynthia James and other musical guests and the Denver Screening of Dying To Know, a full length, award-winning documentary by Gay Dillingham and narrated by Robert Redford about the life and times of Timothy Leary and Ram Dass. 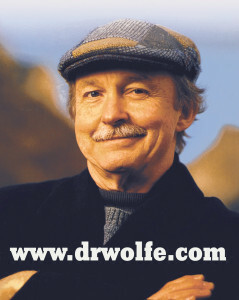 Possible live skype conversation with Ram Dass and Gay Dillingham. Saturday evening we will conclude Enlivened Living 2015 with a very special celebration. 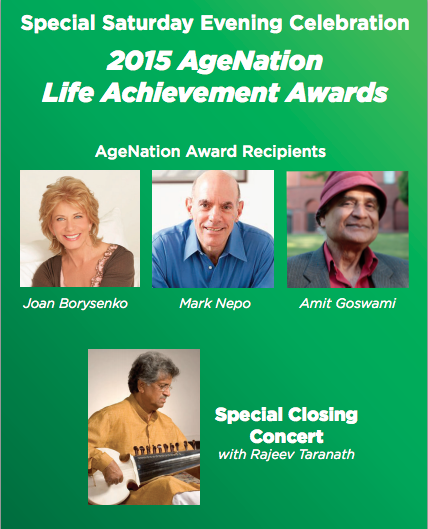 The evening will include the presentation of three AgeNation Life Achievement Awards, a special talked by Amit Goswami, recognized as one of the leading authorities on Quantum Theory and its relationship to Spirituality and a very musical performance by Rajeev Tarananth, acknowledged as the world’s leading sarod player. He is respected for his in-depth understanding as he unfolds the raga, the tonal quality and power of his strokes. His distinctive style shows technical excellence, imaginative power and emotional range according to the New York Times. Early Bird Daily Passes for Friday or Saturday just $15 per person. These passes entitle you to attend all talks and programs with the exception of the special Friday and Saturday evening events. 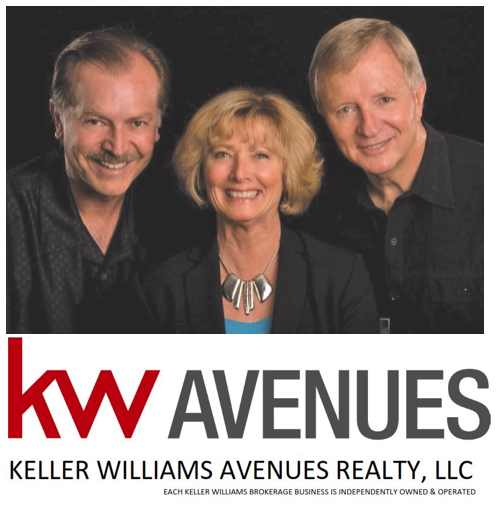 So come take full advantage of these great authors and experts as well as the wonderful product/services exposition with all of its special presentations, entertainment and film and video elements. Can’t make it in person? Get the LIVESTREAM. For the remarkably low price of $21 per person you can participate in all of the talks and programs on the Main Sanctuary Stage at home from anywhere in the world. This livestream ticket allows you full access to watch live all keynotes, presentations, and entertainment on the main stage October 9th-10th. Order now and participate in the Enlivened Living Conference from any computer, laptop, iPad, or digital device with internet access.